Agora Partners and McNamara Real Estate Ventures are developing a 15-unit townhome community located at a prime corner in the Golden Hill neighborhood. The site is a land assemblage with expired entitlements situated at the crown of a hill. Utilizing a contemporary aesthetic and sustainability features, the new homes capitalize on views of Downtown San Diego, San Diego Bay and the mountains. Individual units include garages, home offices and open floor plans to complement extensive outdoor areas and an active streetfront. The development continues the resurgence of the dynamic Golden Hill neighborhood. Symphony Development and Agora Partners acquired a leased 12,500-square-foot postal facility on 1.54 acres located one block from the 350-acre California State University - Northridge (CSUN) campus. As the third-largest public university in the state, the university’s master development plan forecasts an annual growth rate of more than 1 percent annually over the next 20 years, underpinning the need for new development in the area to meet this growing demographic. The site's substantial frontage on Reseda Boulevard, dense infill location, existing income stream and proximity to CSUN positions the property to benefit from strong economic drivers and an overall lack of retail and housing amenities. As real estate adviser to New York-based RePlace Urban Studio, Agora Partners is providing the New York City Economic Development Corporation (NYC EDC) with supply and demand review, market analysis and constraints mapping for specific project areas. Through the assessment of alternative use options, Agora Partners and RePlace recommend development strategies to capitalize on market-based uses that create jobs and economic development opportunities. Strategies include targeting user-specific opportunities, industry sector-led options and contextual place-based solutions, among others. As part of an ongoing relationship, Agora Partners provided real estate expertise to a $1.5 billion opportunity fund based in New York City. Focusing mainly on the acquisition of distressed debt and selectively issuing debt, Agora Partners participated in sourcing and analyzing opportunities by leveraging experience across property types and through industry-wide networks. Individual and portfolio-level acquisitions of value-add office, retail, residential, industrial and hospitality investments spanned the United States and ranged in size from approximately $2 million to $50 million. Agora Partners provided technical assistance to the Housing and Neighborhood Development Division for Community and Economic Development (CED) at the Salt Lake City Corporation. Through comprehensive review of city-owned property, Agora Partners worked with CED leadership to identify entrepreneurial alternatives to typical redevelopment scenarios. Agora Partners provided assistance on investment and development strategies through unique partnerships or dispositions. The final outcome for Salt Lake City Corporation includes development alternatives and proposals for those properties deemed capable of providing transformative city-building opportunities. Acting on behalf of a private family office, Agora Partners led the acquisition, asset management and development strategy for a series of properties purchased from an institutional fund partnership. The subject property required complex lease re-negotiations and coordination with municipal agencies regarding tenancy and options for redevelopment. Ongoing asset management by Agora Partners aims to capitalize on numerous opportunities for development, recapitalization, disposition and operating efficiencies. The mix of existing residential and commercial assets, as well as vacant land, is currently in the planning and design process. A multi-faceted infill land acquisition strategy was overseen and executed by Agora Partners on behalf of an investment partnership comprising local and out-of-state investors. With ACRA Holdings, Agora Partners completed the initial acquisition of a keystone parcel located within close proximity to a planned transit station. Through multiple stakeholder partnerships and design and financing processes, Agora Partners was instrumental in orchestrating a multi-owner, multi-parcel land assemblage while providing asset management and pre-development oversight. The assembled property was sold to a private buyer in early 2014. Agora Partners participated in a comprehensive portfolio review with D.R. Horne & Co. to ascertain highest and best uses subject to market opportunities, trends, financial hurdles and other considerations specific to the organization. As part of the review, Agora Partners also made projections of value through either fee-simple sale, lease or other structures. The scope of work included identification of assets, liabilities, valuations, land use, and operating and capital investment strategies. The final deliverable provided materials to define use, value and order of implementation as the cornerstone of a real estate assessment and disposition strategy. 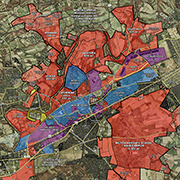 An out-of-state private landowner asked Agora Partners to undertake a comprehensive market assessment and propose a development strategy for a large landholding. 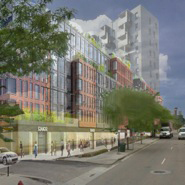 The proposal called for a mix of single-family residential and a seniors apartment facility. Agora Partners investigated entitlements requirements, supply and demand fundamentals, engineering constraints, construction costs and revenues. The final recommendations included best next steps, as well as phasing and exit strategies. 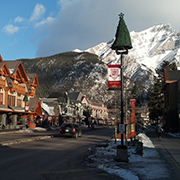 Agora Partners worked with a coalition of property owners in the Canadian resort town of Banff to research and provide recommendations on controversial zoning legislation. Located entirely within a national park, Banff faces commercial growth pressures that are often perceived as conflicting with government mandates for national parks. Agora Partners provided expert testimony at a presentation to the Town Council, and then acted as a resource to town officials, to consider longer term ramifications to proposed land use changes.